Ajax Tocco has manufactured many systems for drying and curing for strip. These include both water based and solvent based paints. In addition many other systems have been designed for coatings other than paints. 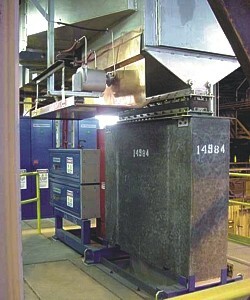 Typically these are relatively low temperature applications usually around 500 degrees F or lower. Drying of various coatings is improved using induction heating. Final peak metal temperature and uniformity are essential in this application. Maintenance cost are greatly reduced compared to other heating methods. Curing paint requires precise heating control which is easily obtained using induction. A view of a 1200 kW strip drying application. 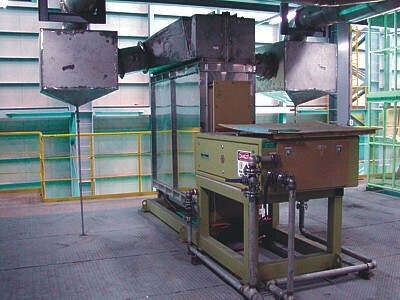 This equipment is being used for a wide variety of coating applications. The equipment can be designed for horizontal or vertical installations.